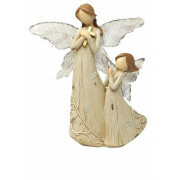 This Love Angel Prayer ornament from Mindy Brownes features two angels standing in prayer. 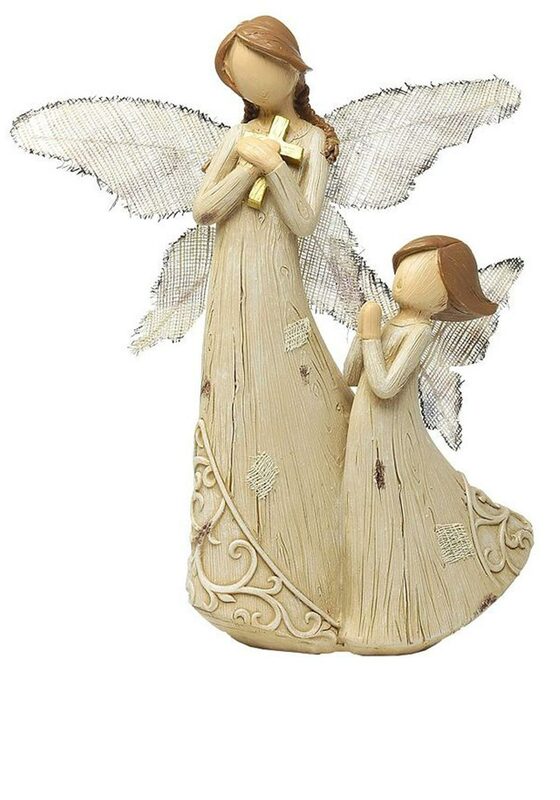 The older angel is cuddling a cross while the younger angel holds her hands in prayer. This is a beautiful elegant ornament finished with the finest of detailing.